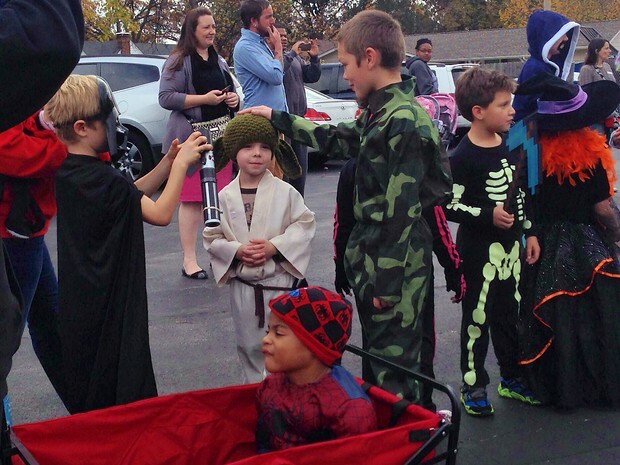 The Halloween celebrations started a day early for the kids this year. 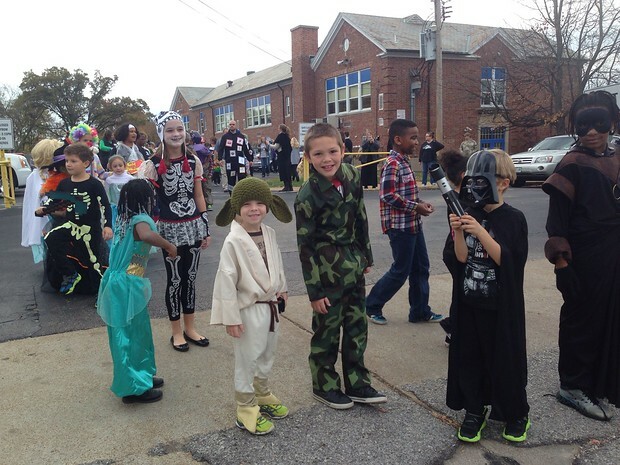 On Thursday there were the annual Mark Twain Elementary parade and class parties. 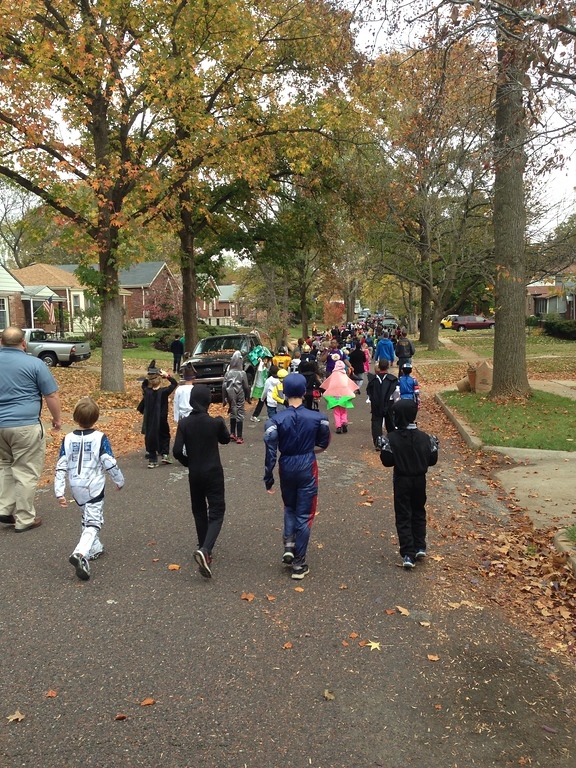 The parade is a great tradition where the streets around the school are closed and the kids and teachers, decked out in their costumes, parade around the block. Here is Will and his fifth grade buddy Austin getting ready. Class parties were next. 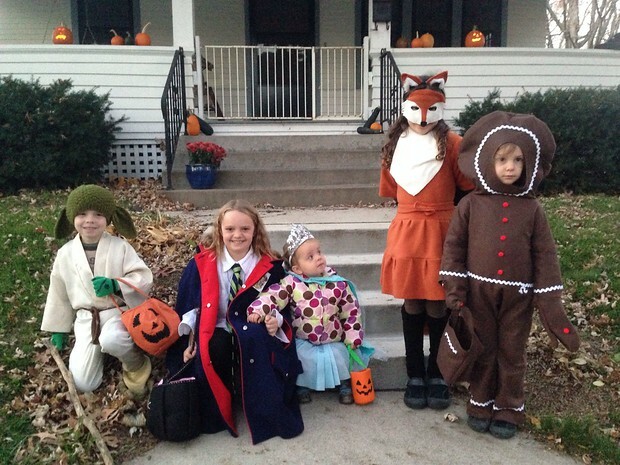 Maggie and I attended both Will and Amelia’s, meaning she had double the snacks and candy. 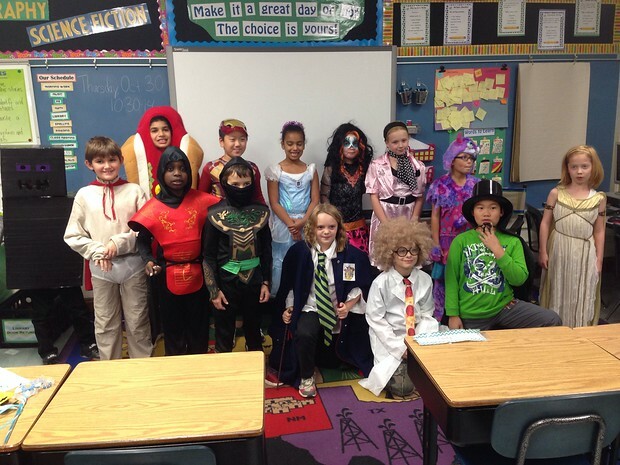 Here is Amelia’s third grade class. 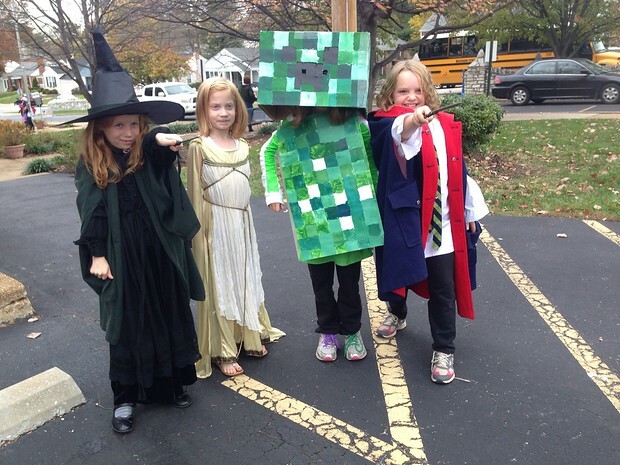 Costume highlights with Amelia’s friends Avery, Haven, and Alex. We were in Iowa City for Halloween. (It was a three day weekend and there was corn to be picked.) 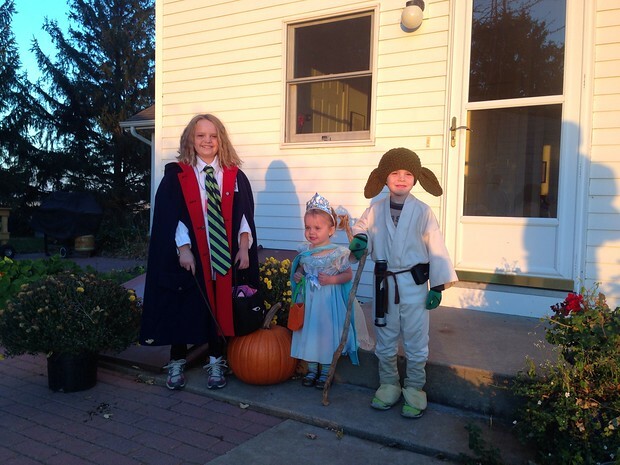 Here are our little trick-or-treaters, Hermione Granger from “Harry Potter”, Princess Elsa from “Frozen”, and Yoda.